Dean Martin is quite rightly viewed as one of the Christmas greats, as well as been the king of cool and an integral part of the Rat Pack. Quite a lot to juggle there but Martin's velvet tones meant his festive ditties graced the season of goodwill without fail each year. Although there have been a variety of reissues under different titles Martin only ever recorded 2 solo Christmas albums. The first 'A Winter Romance' came out in 1959 and its vinyl cover proudly pronounced its 'full dimensional stereo'. It also had an amorous Martin locked in an embrace with a young lady while he eyed up another who happened to be passing by (could explain the 'It Won't Cool Off' track that closed the album!). 'A Winter Romance' had 12 tracks in all and included the classics 'Let It Snow! Let It Snow! Let It Snow! ', 'Baby, It's Cold Outside' and 'White Christmas'. 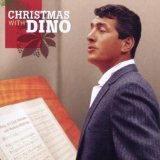 Dean Martin's other Christmas album simply titled 'The Dean Martin Christmas Album' (or 'My Christmas Album') was released in 1966 and had crossover on some tracks from his previous Christmas album. It is probably the definitive Dean Martin festive record as each of its 10 tunes is instantly recognisable. Dean Martin died on Christmas morning 1995.